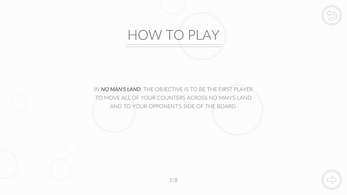 In No Man's Land, the objective is to be the first player to move all of your counters across no man's land and to your opponent's side of the board. 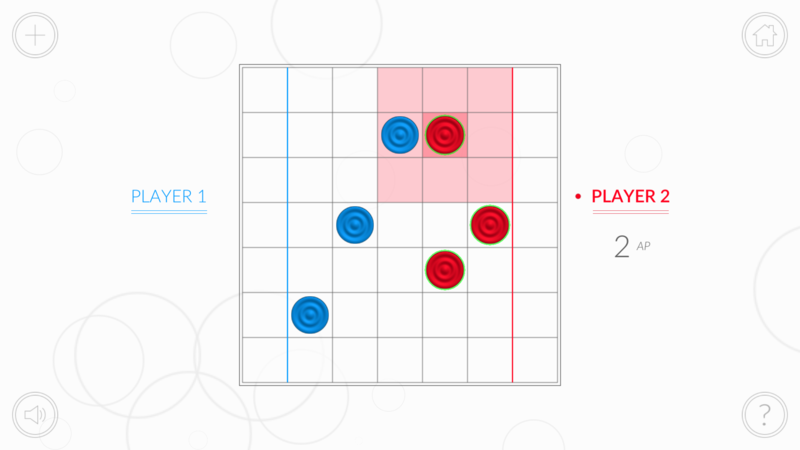 The starting player is chosen at random, and players take it in turns to place their three counters within their respective 'home zones'. Once each player has placed all of their counters, play begins. 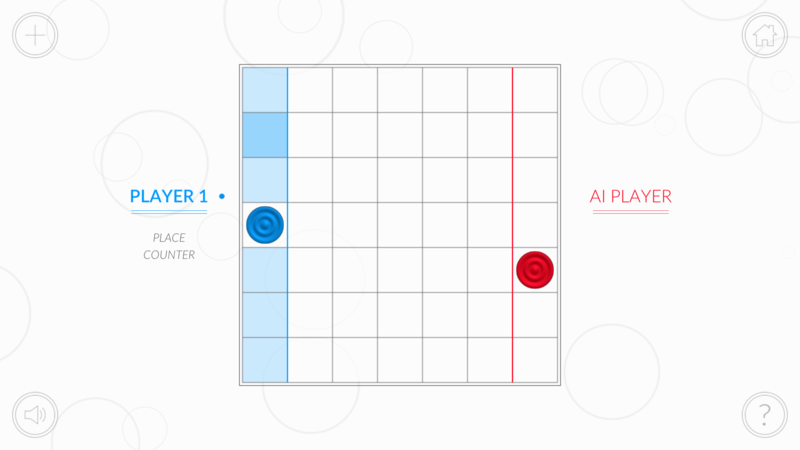 On their turn, players have two actions points (AP) to spend. In order to help balance play, the starting player has only 1 AP to spend on their first turn. 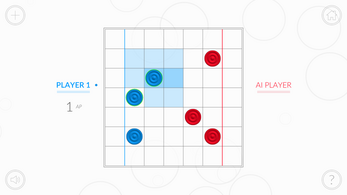 Players can spend 1 AP to move one of their counters to an empty adjacent tile (horizontally, vertically or diagonally). An individual counter can only be moved once per turn, but two different counters can be moved in the same turn. 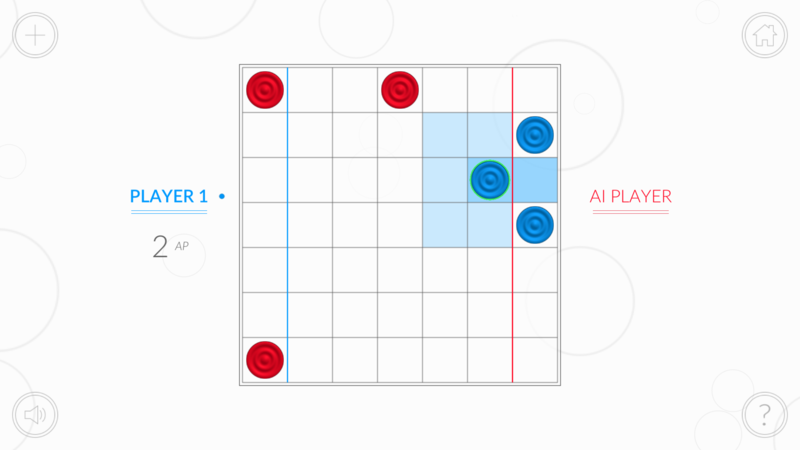 Alternatively, players can spend 2 AP to move one of their counters to an adjacent tile occupied by an opponent's counter and 'capture' that counter. 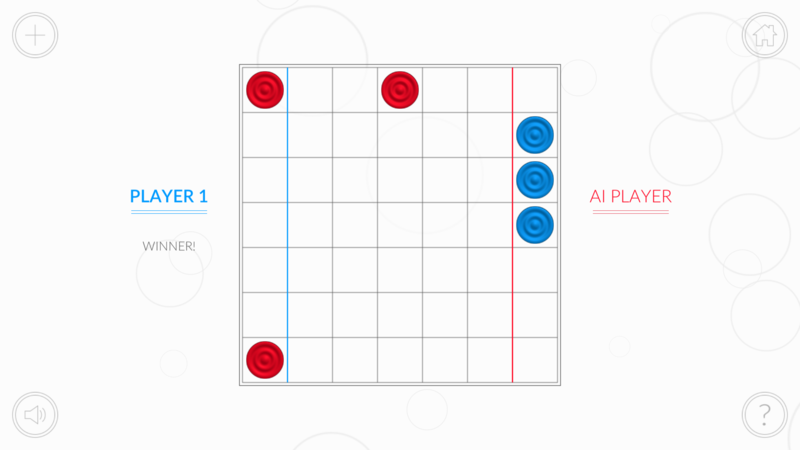 A player who has had one of their counters captured places it back in their 'home zone' at the start of their turn before proceeding. 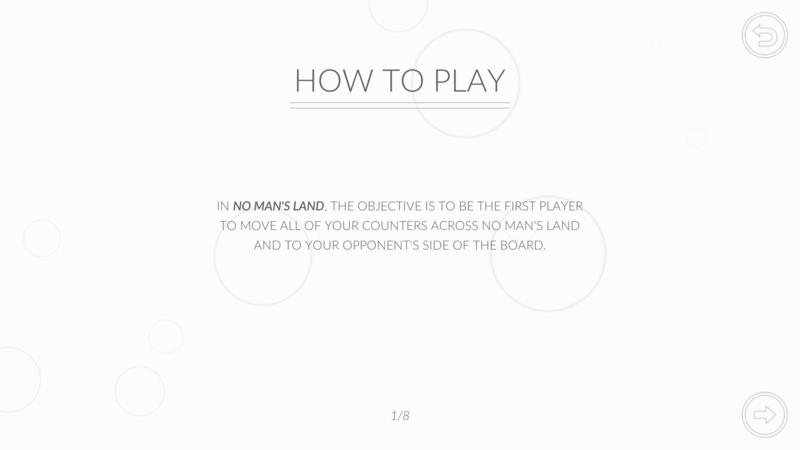 Counters within a player's 'home zone' cannot be captured. Once a player has successfullt moved one of their counters into their opponent's 'home zone', that counter is out of play and remains there for the rest of the game; it can no longer be moved or captured. 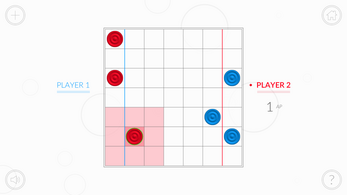 The first player to move all three of their counters into their opponent's 'home zone' wins the game.